Would you like to be a part of a dynamic panel that gives feedback on programming that is aired here on Rhema FM? 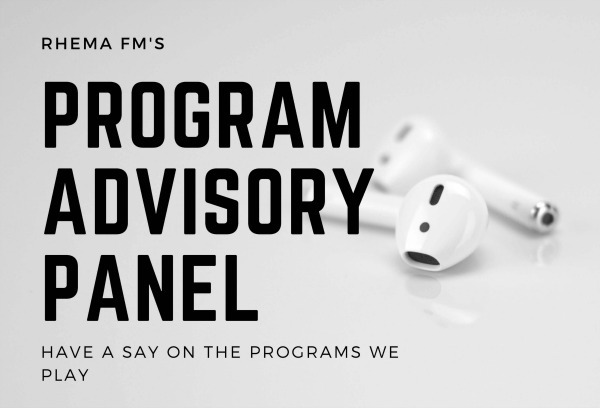 Why not be a part of Rhema FM’s Program Advisory Panel! It will only take a few moments of your time and it’s your chance to have a say on the programming we play on your community Christian radio station Rhema FM!